Link to the responses of each City Council and Mayoral candidate who answered the Beachhead's questions. 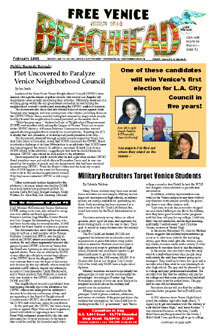 One of these candidates will win Venice's first election for L.A. City Council in five years! What should be done with the Circle?